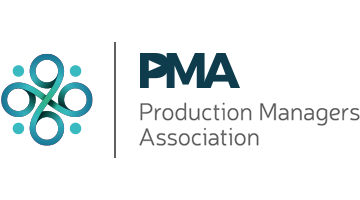 The Production Managers Association (PMA) is coming to Bristol this month with two new events taking place on Monday 26th November. A worthwhile evening’s bounce through what you need to know to before becoming a Production Co-ordinator. If you are new in the role or already work in production and would like to step up to the role of PC then you can’t afford to miss this workshop! Limited availability so RSVP now to pma@pma.org.uk to reserve your place. Ever struggled with music clearance? Or maybe you’ve never had to do it before. If so, then this workshop is ideal for getting to grips with all you need to know. Bring along your questions about those tricky situations or obstacles you have encountered and discuss with Duncan and Dan how to tackle them effectively. In addition, Gareth Owen and Arun Sethi from Cavendish Music will be on hand to discuss their music library. Cost: Free to members, £30 to non members payable to Co-operative Bank, Sort code: 08.92.99 Account number: 65213803 using your name as reference if possible. Please email pma@pma.org.uk to reserve your place.